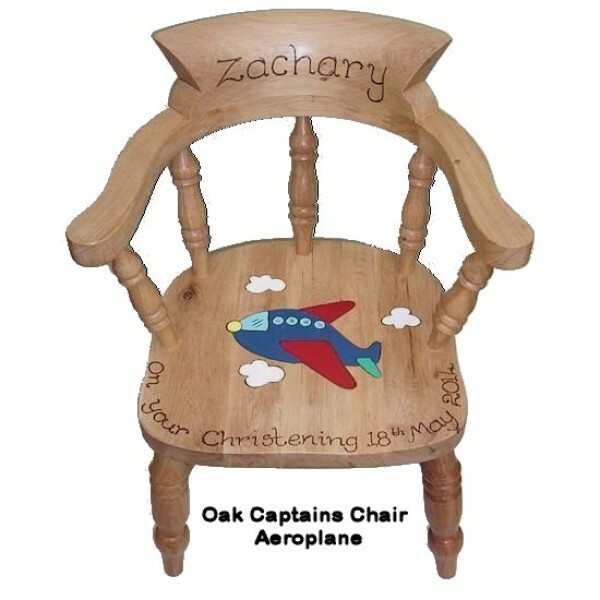 This traditional solid oak child's captains chair is our heaviest and widest chair and is a great keepsake gift. 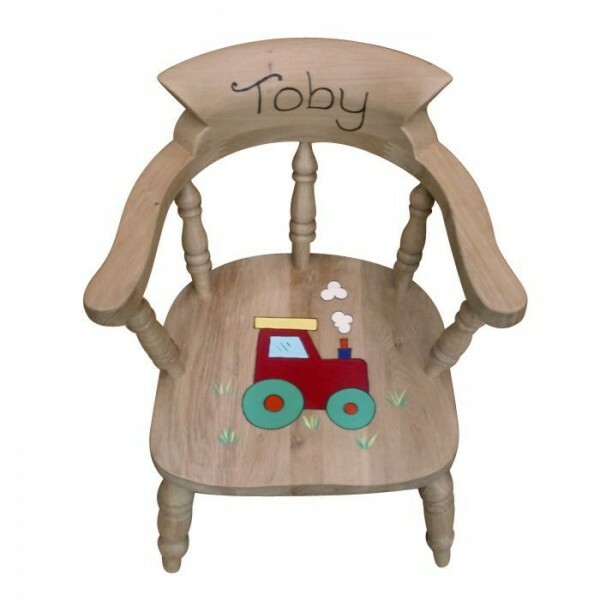 The chairs are delivered fully assembled and are given a hand waxed beeswax finish to enhance the beauty of the grain. 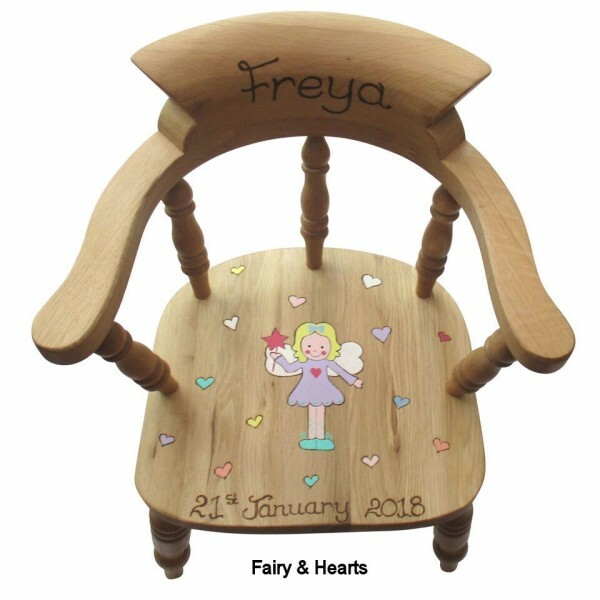 The chair is available in a range of designs for girls and boys, its also available with no design. 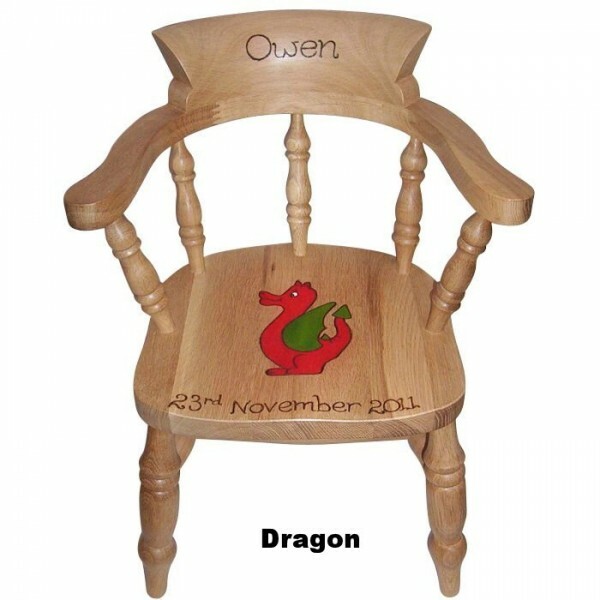 See the 'Design' drop down box for our full range of designs and prices. 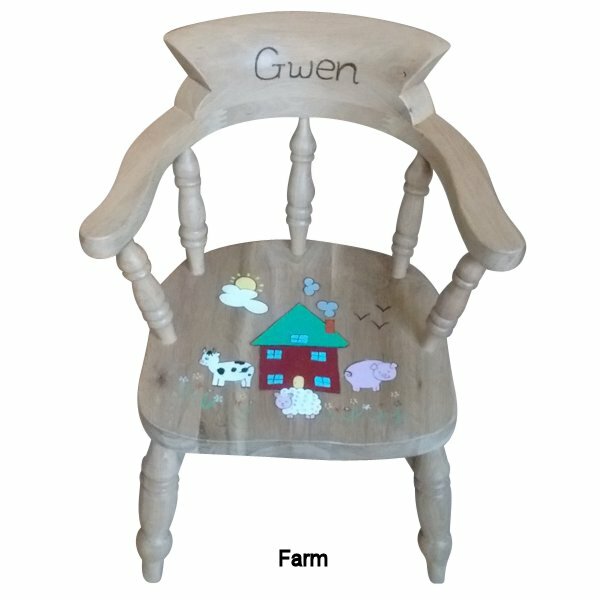 Also available in the drop down box is a plain unfinished chair i.e. 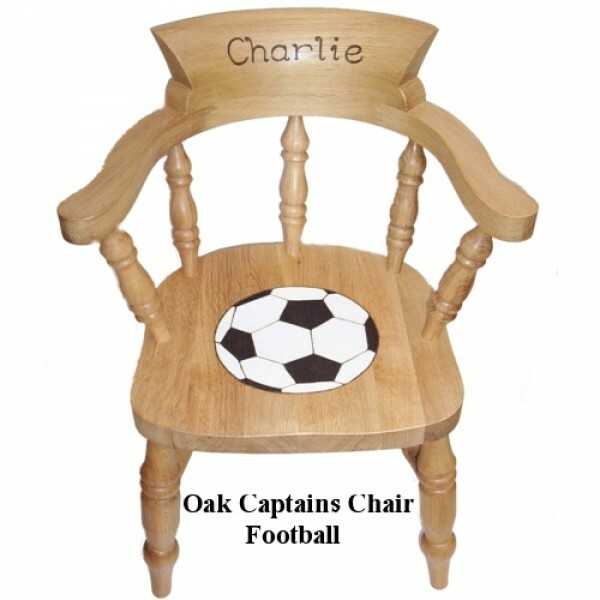 no personalisation, no design and no wax finish. 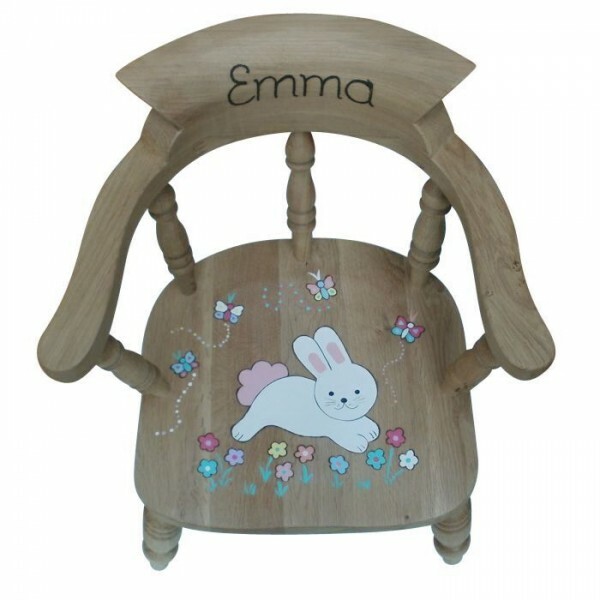 These chairs are priced £99.95 which allows you to finish in an effect of your choice e.g. stain, lacquer, paint, etc. 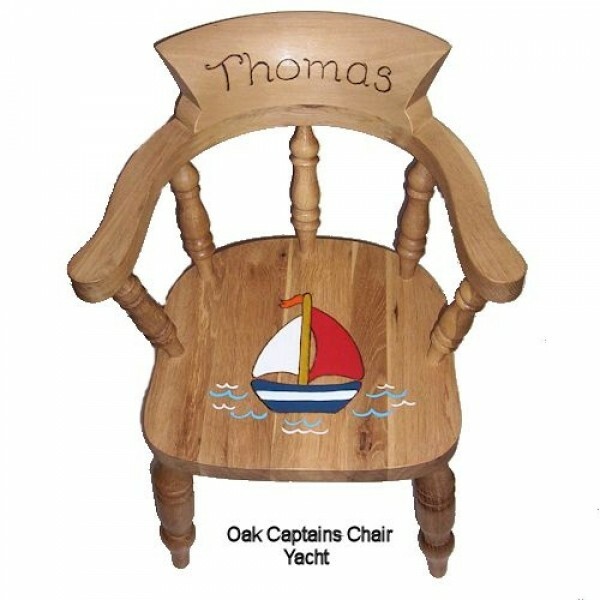 Due to the natural wood used and hand made nature of the chairs there maybe small irregularities such as knots, etc which we feel gives each chair its distinctive character and uniqueness. 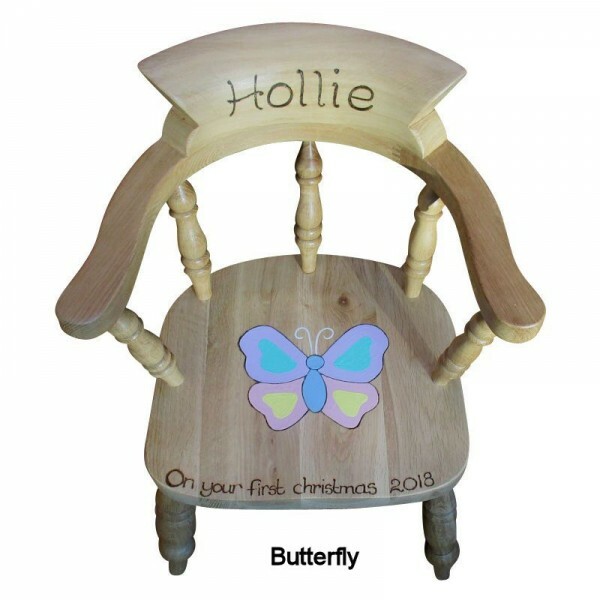 All chairs can be personalised on the backrest and if required a simple message/date can be added to the seat. Please use "name required" and "seat message" boxes below. 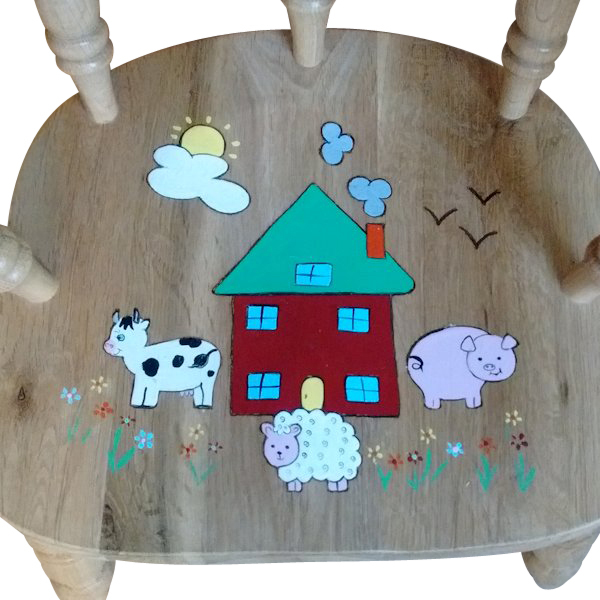 This chunky solid oak wooden stool is based on a traditional milking stool and can be hand painted in several different designs (see our other small stools for more images). 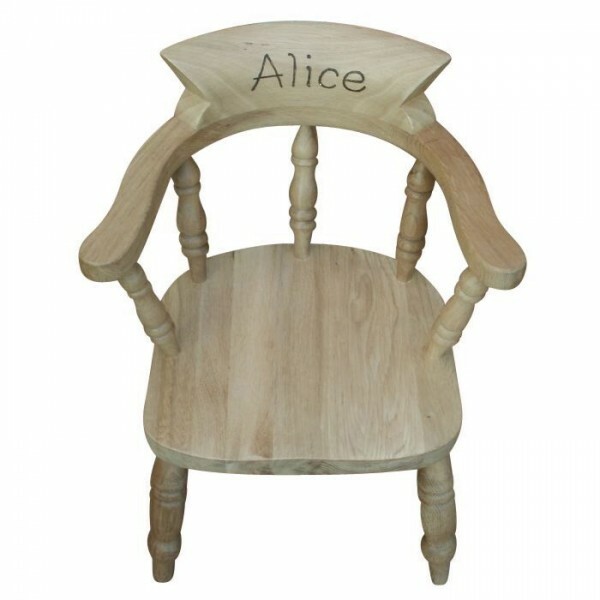 The stools have 4 turned legs with stretcher rails, are made from solid oak and hand finished with natural beeswax. 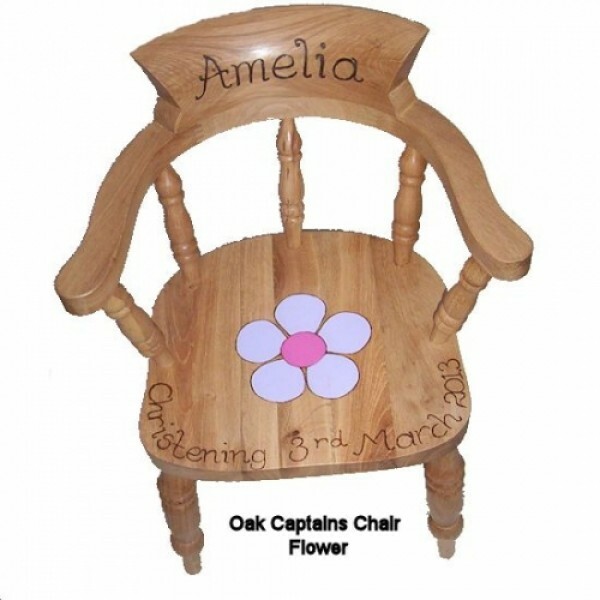 Names and messages can be added free of charge, a great keepsake gift for christenings, birthdays,..